BERLIN (Reuters) – Britain wants to cement its foreign policy and security ties with the European Union via the “closest possible cooperation agreement” and is open to participating in a European intervention force, a British minister said. Britain was open to a close partnership with Europe on a crisis intervention force after it leaves the EU, depending on key details, David Lidington, Britain’s cabinet minister, told the Frankfurter Allgemeine newspaper. Those details would include ensuring London’s control over any deployment of British troops, he said. Britain would seek to formalize future foreign policy, security and military cooperation with the EU in an agreement, Lidington said. One possibility, he said, would be to have the British foreign minister participate each quarter in meetings of the European foreign minister council. 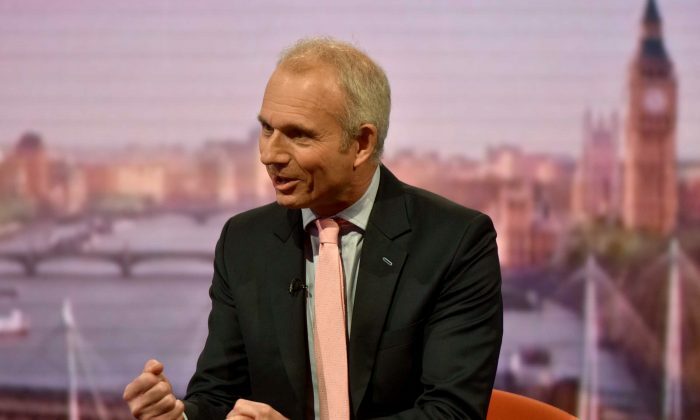 Lidington said the biggest risk in the ongoing negotiations about Britain’s exit from the EU was a bitter, divisive divorce that would be welcomed by Russia and those who rejected European values and cooperation. British Prime Minister Theresa May failed on Thursday to win the support of pro-EU lawmakers in her party over parliament’s role in the Brexit process, raising the risk of defeat when the lower house votes next week. May is struggling to unite the Conservative Party around her plan for leaving the EU, trying to balance the demands of those who want the closest possible ties with the bloc and others who want a clean break.